"African Shields Address Labels" product is already in your cart. African Shields, traditionally used as defensive weapons, were also used as decorative and ritual objects full of meaning to the tribes. Shields could be woven or carved in a variety of materials including wood, hide, and metal. 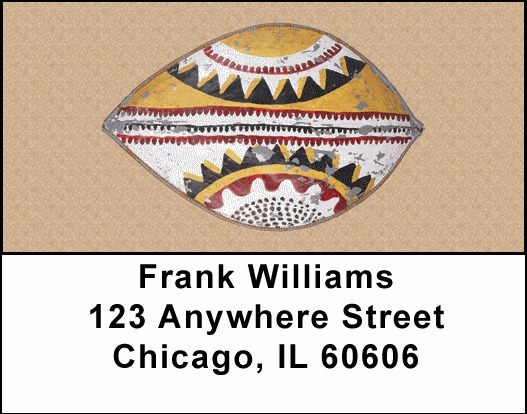 African Shields Address Labels depict a series of four rotating designs and motifs from tribal Africa. These address labels are self adhesive and perfect for labeling everything from envelopes to books to cds and dvds. Matching personal checks are also available.